Virtually no one can tell you who said it. It was the Spanish-American philosopher George Santayana. Billy Joel at least made mention of Santayana at the beginning of “We didn’t start the fire.” I bet well more than half the people who listen to that song can’t identify the events mentioned it, especially when you ask people who were born after that song came out. I find that song rather accurate in that is pretty harsh condemnation of the Whig Theory of History as well as the Marxian Theory of History. Both of these theories posit that history is pointing in a particular direction. Now, you’d think that history would be pointing in a particular direction. So many things have happened over the course of human existence that you’d think we would have learned from our mistakes by now. We’d actually have a good idea of how to behave so that the greatest amount of good could come from our actions. And you’d think we would. “There’s a good reason why nobody studies history, it just teaches you too much.” — Noam Chomsky in 2003 at the University of Colorado at Boulder. Chomsky sort of believes in a direction toward history. He once said that anarchism is an historical trend within the story of human existence, but I don’t believe he thinks of it as a trend in the way the Whigs and Marxists do. But in that quote he shows that Santayana was correct. We just live in a world full of historically illiterate people. I am amazed at how many people think that the United States was founded upon Judeo-Christian values, when the truth of the matter is the greatest thing about the United States is that it was actually the first country that was founded upon the intellectual and philosophical postulates that came out of the Enlightenment. It’s certainly true that various British colonies that eventually became part of the United States were founded as theocracies. Massachusetts, which currently has a larger population of Roman Catholics than protestants, once banned any church that wasn’t Puritan. There is a famous story that the first English settler of Boston, William Blaxton, had his house burned down when the Puritans thought he was trying to establish the Church of England in the territory. Blaxton was an Anglican, and the Puritans considered it a wicked “Roman” church. But any objective reading of history shows that the founding of the United States as we know it today came from people who were rejecting that sort of theocracy. Virtually all the former colonies that became the United States had their own established churches, and when they became part of the US under our current constitution, they had to disestablish them, which caused quite a bit of friction. But the revolutionaries who created this country were driven by Enlightenment ideals, not the Christianity that gave us the Salem Witch Trials or the Crusades or the Inquisition. The religious right in this country has waged war against the Enlightenment. That’s their shtick. And the best way they’ve done it is to deny the Enlightenment values that are at the base our national identity. One of the worst things one can do to one’s country is to deface its national identity, but these guys get away with it because they say Jesus a lot. It’s so bad that there are large sectors of the US that have no idea what the Enlightenment even was, and they believe whatever their preachers and Fox News say about the founding of the US. Never mind that most of the solutions outlined in this video are crap. Cutting taxes will not lower the deficit. (The Laffer curve is not an absolute!) But cutting spending and raising taxes will. Drilling for oil here won’t lower the price of gasoline unless we either build a bunch of new refineries here or (heaven forbid) cut back on speculation on crude prices in the commodities market. But those things are pretty easy to debunk. It’s that last verse that is quite sickening. You have to know not a blasted thing about the history of this country or our secular constitution to think that this is true. It just isn’t. This country does provide for religious freedom, but our guiding principles of our nation come from eighteenth century England, Scotland, and France, not first century Palestine. The Republican Party as it is now constituted relies upon a large sector of the population not knowing these facts. It’s a faith-based political party, which has made a bizarre unholy alliance with the Wall Street barons, most of whom believe in Jesus about as much as they believe in unicorns. A major political party in this country became a faith-based institution, and this strategy helped it win more than a few elections. But not the last one. In this last one, all the Jesus talk and all the anti-abortion mongering actually cost the Republican Party dearly. It got what the Scots call a “good hiding” at the polls. And for all the people who believed that the Republican Party was destined by God to win that election, it was like the whole world exploded. All these people now want to secede or secdee or whatever. And I’d like to think we’re on the way to returning to these great traditions that really did make this country special. But that would assume that there is a direction to history and that people would learn from it. I know fully well that nearly half the country thinks the earth is 6,000 years old. And yes, this is the same country that put a man on the moon. And so it is because of our historical ignorance that we slouch back towards those early colonial theocracies. If the Republican Party as it’s currently constituted were ever to hold political power again in the same way it did in the first decade of this century, it would be a dangerous organization. I voted Democrat almost entirely upon that understanding. I don’t want to think what these loons (a name that is something of an insult to the birds the British call the divers) would have done if they had taken the Senate and had a right-wing, Cleon Skousen-following Mormon bishop for president. This is not to say that the Democrats don’t have their own anti-rationalist and anti-skeptical inquiry constituents. But they haven’t embraced in the same way. If Obama had being running as the Jesus candidate in the Democratic primaries in 2008, Hillary would have eaten him alive. It wouldn’t have even been close. But you better be anti-science if you’re going to run for president in the Republican Party these days. This was a Tweet by a Republican running for president. Guess how well he did? He probably would have now been President-Elect Jon Huntsman had he been able to make it through the Republican primaries. But publicly accepting science was the kiss of death. We’re seeing the bitter fruit of historical illiteracy all around us. History helps us put the events of the day in a proper context, but if you don’t understand it very well, you will fall for whatever cocked analogy some demagogue can throw at you. It is this part of historical ignorance that leads to us constantly repeating error. And no one wants to know the real history. It’s actually often discouraged in schools, which is something that rather shocked me with graduate school. I was shocked that people with doctoral degrees in political science had never heard of the various interventions that the US had engaged in in Latin America. It was like those things never happened. But they most obviously did. If you don’t understand history, you can never really discern the present. And the powerful rely upon historical ignorance for that very reason. Don’t read history. Don’t be objective. I think that’s one reason why so many of us who study history are so depressive. All we read is a catalog of horrors– and so many of these horrors are repeat performances. We wonder when people will try to learn from the mistakes of the past, but all we see is error compounding upon error. In the US, we have a chance now to correct errors. And honestly, that’s all he’s ever been able to deliver. If hope’s all we can have, it’s certainly better than despair at another Dark Ages looming. But it would be nice if some hope would be realized. The thing is Obama can’t give it to us. We have to demand it. We have to fight for the Enlightenment. We have to fight for decency. We have to fight against barbarism. It is the human struggle for these things that has made life bearable for the vast majority of the population. It is the struggle that never will be finished. It is a struggle where there will always be setbacks and defeats. But it’s one in which we only totally lose if we give up entirely. And I don’t know how we can live with ourselves if we do. The odds are against us, and they always were. But it’s one thing to stand for decency against the barbarians and know you’re going to lose and just let them win. We can still do amazing things. The fires will continue to burn so long as human ignorance exists on the planet. The true progressive battle must be the fight for rationalism. It is the real culture war right now. Without rationalism we cannot solve problems or even recognize what the problems are. It’s only been in the past few years that progressives have recognized this reality. But that’s the real struggle right now. The decent societies we might create need to go on the back burner for now. We have to fight for the Enlightenment, for without the Enlightenment, there can be no progressivism. Our entire political movement is based upon people recognizing reality and coming up with realistic solutions to solve problems. Ours is not based upon religious texts, though one can find progressivism in the bible, if you dig around very carefully. But I don’t think we serve ourselves very well if we try to use the bible for that purpose. If we selectively quote the bible to support our politics, we aren’t doing anything different from what the fundies do. It is the same logical process that validates and legitimizes those parts of the bible over others that empowers the fundamentalist that also empowers the Christian liberal. I don’t think we can win an argument on religion texts. But we can win an argument based upon reason and objective facts. That’s why the struggle is not just against those who choose not to learn history. Our struggle is against those who reject rationalism altogether. That’s where we must start. Nat Depue of Creston, who carries the mail between that place and Grantsville had a thrilling experience with a huge wild cat or some other animal of a like nature one day last week. He had been delayed until late in the afternoon, waiting for the mail sacks which were on the Harry W. (a riverboat. It was dark when he crossed the Annamoriah flats, and he noticed something following him which he took to be a dog, but paid little attention to it until it darted past the horse and ran up a tree that leaned over the road. From there the cat sprang, landing on the horse’s neck clawing and biting fiercely. It’s not really clear when the native cougar subspecies went extinct in West Virginia, but the state DNR mentions that cougar tracks were spotted in Pocahontas County– in the far reaches of the High Alleghenies– in 1936. Now, this story may or may not be true, but if it is true, the culprit cannot be a bobcat. I would be shocked if a bobcat would have the courage to attack a mounted rider in this fashion. Bobcats can kill deer. They don’t kill horses. Cougars can kill horses, and it would make sense for a cougar to attack one, even if it happened to have a person riding it. 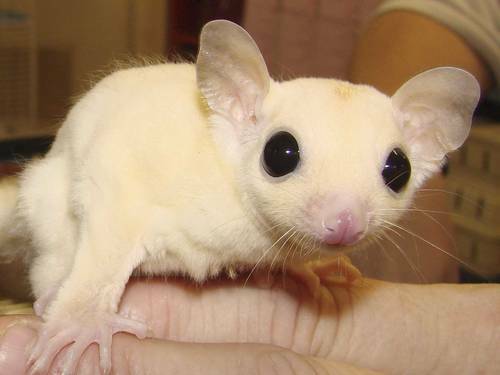 This animal would have been among the last of its kind in this part of the United States. The true Eastern cougar has officially been declared extinct, but cougars from Western subspecies are definitely working their way into the East. If any of the cougar sightings are true, then these animals have to be of one of the Western subspecies. The cougar is beginning to expand its range once again. In North America, its numbers are pretty secure, and in many areas, it’s on the rebound. Maybe we will confirm the presence of the cougar in West Virginia once again. Many people claim to have seen them. But what they are seeing–if it’s a cougar at all– can’t be the old Eastern catamount. It’s the Western variant working its way in the East. Oh no! There’s an alien in my bed! Unlike the somewhat problematic aquatic ape theory, what I’m about to propose really isn’t that controversial at all. The acquatic ape theory (more correctly called “the aquatic ape hypothesis”) argues that it was living in and near the water that forced humans to evolve bipedalism and is also used to explain why we have fat under our skin and like to swim. It’s even used as a possible reason why we have little fur left on our bodies, and it also claims that humans are unique among primates in our ability to hold our breaths under water, which isn’t actually true. This hypothesis contends that humans were on our way to becoming marine mammals, and that this has made all the difference. Now, we usually don’t think of them as being marine mammals. They are, after all, just a subset of domestic dogs, which are themselves a subspecies of the common wolf, Canis lupus familiaris. But unlike other dogs and wolves, the retriever is somewhat better adapted to swimming and diving than other dogs. All dogs have connective tissue between their toes, but in retrievers, this connective tissue is a bit more extensive, which certainly gives them some advantage in swimming. All dogs are web-footed, but retrievers are more web-footed than others. Many Labrador retrievers and some golden retrievers also have a tendency to put on quite a bit of fat. This is usually attributed to the dogs being derived from St. John’s water dogs that had to have voracious appetites to survive on Newfoundland during the winter when they weren’t used on the fishing fleet. But such a tendency toward obesity doesn’t exist in arctic breeds, including those from Labrador and Greenland, which were similarly left to roam and forage when not being used for work. These dogs have healthy appetites. but you very rarely hear of a fat one. But in Labrador retrievers, being fat is almost a breed characteristic. In the UK breed ring, the Kennel Club has had to crack down on people showing fat Labradors in the ring, for there are a great many dog judges in that country who think that a Lab shows ‘good bone’ when he’s shaped like a jiggling barrel. This tendency towards being fat, though, does have an advantage for a dog that spends a lot of time in cold water. Fat insulates. It is also quite buoyant. One can see that nature would have selected for St. John ‘s water that would have been more likely to have put on fat as a way of being able to handle swimming long distances in cold water. The fat would make the dog float more, and the animal would be able to keep its head above water with less effort. And the fat would insulate it a bit more. And although both of these features would be marginally advantageous, they would still have real consequences with a working water dog. Before the St. John’s water dog developed, the European water dog was poodle-type animal. It had a very thick coat that protected the animal from the worst of the cold, but the coat also had a tendency to collect water. It was also a source of drag that slowed the animal down when it swam. The clips we see in Portuguese water dogs and poodles stem from attempts to reduce drag while still keeping the protective coat. The St. John’s water dog was different from all these European water dogs in that it had a smooth coat. It was actually selected for this coat; any dogs that were born with feathering were shipped off to Europe. A smooth coat has certain advantageous for a marine mammal. After all, have you ever seen a seal with poodle fur? What about a long-haired otter? These animals have very close coats because this makes the animal move more efficiently through the water. To have a water dog with an otter’s coat would have meant that clipping was no longer necessary. The dense undercoat and the fat would have provided enough protection against the cold water, and the smooth coat required no maintenance. And the dog could swim longer and harder in very cold water for much longer. The St. John’s water dog was dog on its way to becoming a marine mammal. Indeed, if we now count polar bears a marine mammals, maybe we should classify this extinct breed of dog as one, too. There are accounts of these dogs swimming for days at sea, which might be exaggerations, and stories of them diving many feet to retrieve shot seals. There are even some fellows who use the dogs to pursue shot porpoises with varying degrees of success. They were also use to retrieve shot waterfowl and sea birds from those very same seas, which is sort of the same work their descendants do today. But they were most famous for retrieving fish off of lines. In the old days, the English fishermen from the West Country would come to Newfoundland to fish with hooked lines. They plied the waters in small dories, and they would send their dogs to help haul in the lines. In those days, the fishhooks often were not barbed, and when the dog came upon the hooked fish, there was a good chance that it could escape. A good dog could catch the cod if it managed to work its way off the hook at the last minute, which is not an easy task! Most retrievers and the modern Newfoundland and Landseer breeds derive from this water dog. Some strains are very well-adapted to swimming in cold water. Others less so. The retrievers of the United Kingdom were used primarily on shooting estates, where land-based game birds and lagomorphs were their main quarry. 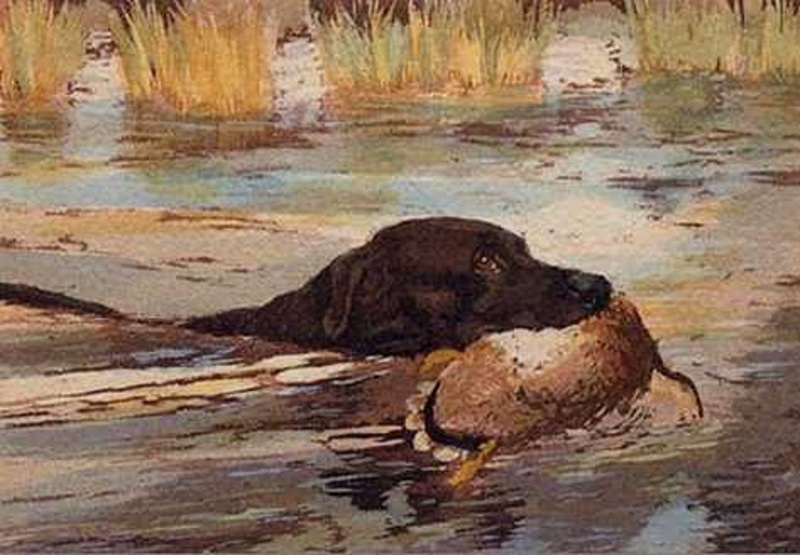 Some were used to retrieve waterfowl, but the British retriever culture was primarily that of a land-based working dog. Over time, they bred for a smaller and lither working dog, which still shows up in the strains of golden retriever that are primarily bred for work. During the heyday of the working flat-coated retriever (of which the golden retriever is a surviving remnant), the majority of these dogs were 50-60-pound dogs with longer legs and gracile frames– quite different indeed from the somewhat robust water dogs of Newfoundland from which they descended. If the particular shore-fishing culture of Newfoundland had been allowed to continue on for many, many centuries, it is likely that the the St. John’s water dog really would have begun to have evolved through both natural and artificial selection into a much more marine-adapted animal than it was. Perhaps the would have evolved even more webbing between their toes. Maybe they would have actually evolved a real layer of blubber beneath their skins for insulation. At least one species of wild dog is semiaquatic. The short-eared dog of South America has been little studied, but in most analyses of its diet show that it eats a lot of fish. The short-eared dog has very webbed feet— even more so than modern retrievers do. Because they live in Amazonia, they have no need for fat for insulation, but it has been suggested that this webbing is an adaptation that helps the dog pursue a more aquatic existence than other South American wild dogs. St. John’s water dogs were famous for their fishing abilities, and they were well-known for charging into the surf and coming out with a fish, a feat that one sometimes sees retrievers doing quite well. One could see that over time, that the St. John’s breed would have evolved even more in this direction than the short-eared dog has. But the Newfoundland fishing changed over time. Better hooks and mechanized fishing equipment made the dogs largely obsolete. The cod fishery has collapsed, as has the fishery for almost everything else. The outports of Newfoundland were shut down through resettlement schemes. And the ancestral bloodlines of the St. John’s water dog became polluted with “improved” Labrador retriever blood from UK and the North American mainland. The last of the St. John’s water dogs with no Labrador retriever ancestry are believed to have died in the 1970’s. In the US, Labrador retrievers are called “duck dogs,” but virtually no Labrador retriever that is being used as a hunting dog in the US today is used exclusively on waterfowl. Most of them at least moonlight as flushers and retrievers land-based game birds, which usually have longer seasons and more liberal bag quotas. The retriever has to be a spaniel a lot of the time. In the UK, the retriever is still primarily used on land-based game, though they are still used in “wildfowling” (a nice word for duck hunting). In no place is it required to be the same kind of water dog that its ancestors were. The potential for it evolving into a canine marine mammal has long sense passed. But it could have gone down this road. 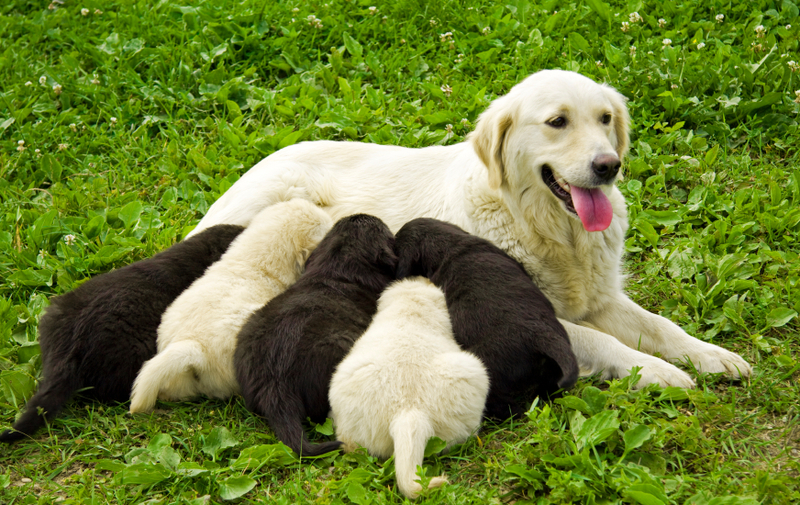 The retrievers that exist today are gun dogs that have been built and selected out of this lineage. And it’s really what makes them unique as working dogs. Now, this all might sound a bit bizarre, but this summer, reader Mashka Petropolskaya sent me this master’s thesis on the behavior of Labrador retrievers in an aquatic environment. The thesis was written by a student in the marine sciences program at the University of Porto in Portugal, and the thesis found that Labrador retrievers are unusually attracted to water and that access to water and swimming opportunities may be very important for the welfare of dogs in that breed. Not all Labradors like the water, but there clearly is a tendency in retrievers to be interested in the water. So maybe we really need to appreciate their “marine mammal” tendencies more in order to provide them the best environment possible. When a golden retriever has puppies that aren’t gold, red, or cream, you know she’s a cross-breeder! The father of these puppies was a chocolate Labrador.